One thing I’ve always been scratching my head about is why Madonna ever abandoned catchy melodies, which this debut album is full of. Sure, there were a few scattered exceptions later on in her career such as “Papa Don’t Preach” and “Like a Prayer,” but Madonna would never turn out such a great collection of tunes ever again. These songs are lyrically centered around love and therefore this album is also her least pretentious. 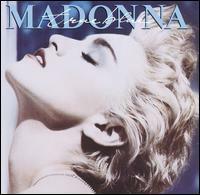 I also greatly enjoy Madonna’s vocal performance in this album. In subsequent albums she would take greater care in polishing her voice and making everything “perfect.” (She’d eventually even do this to the point of abusing annoying vocal effects.) But here, it’s like she’s throwing caution to the wind. Madonna never had a perfect voice, and she’s rubbing that in your face. Maybe she didn’t spend a lot of time doing vocal takes? At any rate, the result is more raw and satisfying than her subsequent works. There are a good handful of classics in this album. “Lucky Star” is a happy-go-lucky pop song, and it’s absolutely impossible to dislike. “Holiday” is surely Madonna’s best song of her career and even features fairly decent song arrangements. “Burning Up” shows Madonna successfully trying to emulate the Eurythmics (with the exception of Annie Lennox’s voice). 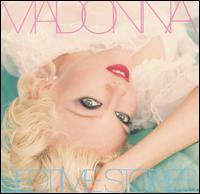 Interestingly, the album’s two weakest entries are the closest to resemble the style Madonna would eventually adopt. “Physical Attraction” is a boring and bloated song without a pop hook in sight. 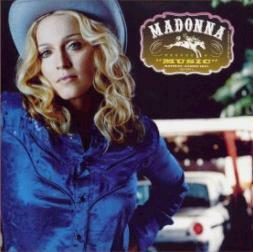 “Everybody” is similarly bloated in which Madonna adopts a more familiar vocal style. But for her debut album, let us only concentrate on the first six songs. The last two songs and the remainder of her discography, should quickly phase out of existence for the benefit of the world. Saying that I'm not a Madonna fan is an understatement. I loathe Madonna. This is coming from the same person who claims ABBA to be one of his favorite bands and thinks that Kylie Minogue's SAW albums have some merit. This is how much I hate Madonna. Basically all this album is good for is the three hits. Luckily, they're the first three songs on the album, so this give you a convienient time and place to turn off the album! David Bowie did a similar thing a year earlier with his mammoth pop hit Let's Dance... pretty much everything after the third track wasn't worth listening to. 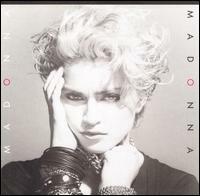 So the question is, are Madonna's three mammoth pop hits worth the price of this album? If you can find this album for $1.99, then I'd say yes. Otherwise, don't waste your hard earned cash. I used to like "Material Girls" a lot, but there's a problem with a track when it drags on for six minutes and there's only enough intertia for three. I mean, it wouldn't even have made a great three minute track! It has a nice, bubble-gum-pop melody, but that's basically it. The instrumentation is hella boring ... how they make an '80s synth-heavy song boring when I find the genre personally irresistible is worthy of Evil. All of that said, this is one of her career highlights. This is the second time I attempted to review this album, and I admit my original review was pretty harsh. Unlike what I wrote in that review, this album isn't the worst thing to ever happen to me. However, I still think it's pretty bad and nowhere near as great as authoritative magazines like Rolling Stone and Pitchfork would have you believe. It's pretty obvious to me that Madonna was trying to copy the styles of the glorious euro-pop band ABBA but update it for the '80s. As somebody who thinks ABBA at their peak is great, I can tell you that Madonna doesn't come close to matching it. This album has 1/8th the hooks, and it seems about 1/5th cheaper than an ABBA album. However, this work does have some merits. Very little Madonna ever did can manage to top her hopelessly catchy "Papa Don't Preach." When a song is as catchy as that one, the fact that it's overproduced almost seems like a positive. I also enjoy the well-done "Open My Heart" with a so-so melody. There's some real awfulness in this album though. I don't care to imagine anything more obnoxious than the title track. Obviously the aim of it was to update '50s music for the '80s ... Unfortunately, the production doesn't suit such a song, and the melody is pretty stupid. That was clearly a bad idea! Also, trying to combine '80s pop with Latin music didn't work in "La Isla Bonita," which is rather difficult to even listen to. Of course, the melodies throughout the album aren't too catchy. I already talked about the exception... The over-production was more or less decent throughout the entire work. I know a few sound effects saved "Jimmy, Jimmy" that was slated to be a horrible song. But other times it's just too much. It's enormously polished the whole way through, but there's little about it that is unusual or creative. If this album was a sculpture, it would be about two feet tall, made out of plastic and cost $2.99. That's also the most I'd ever pay for this. Madonna and Sean Penn starred in a movie called "Who's That Girl" that I, very fortunately, never saw. Naturally, the movie had a soundtrack --- and it's horrible. The worst. One reason Madonna might have been so high on everybody's list of "artistic heroes of the 1980s" might not only have been her PR department telling lies. It might also have been the release of Who's That Girl soundtrack. Granted, Madonna is only credited to less than half of these songs, but most of the non-Madonna compositions are so rock-bottom awful that it makes her contributions (which are worse than even the songs on her regular studio albums) seem like a godsend. That said, Scritti Politti's "Best Thing Ever" is vaguely decent, but that's really a poor composition. It just sounds pretty good next to the songs that surround it... Gosh, I should go to therapy after I finish this review. 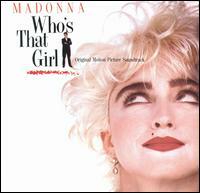 Madonna had a big hit with "Who's That Girl" even though I find that to be an enormously bland work. The melody is so toneless that I can't even remember anything about it moments after hearing it. That's how much of an impression it leaves. But the big compliment I can give Madonna for that song is that it doesn't annoy me. "Causing a Commotion" was another hit, but that one's more bland in a bad way. Geez, I hate it that Madonna was ever popular. You wonder why people ever embraced someone who can't write music --- and honestly seems to not care about that fact. Anyway, they also include "24 Hours" and "Step By Step" by oustide musicians. These tracks are so awful that I want to rip out my eardrums! The latter, especially, is old-school type hip hop that gets on my nerves like somebody scratching on a chalkboard. But the worst of the worst is yet to come... The closing track "El Coco Loco (So So Bad)" is probably the worst song ever recorded in the history of music. It should make Thomas Edison ashamed that he ever invented the sound recorder. It's an attempt to combine Latin music with '80s pop production, and the lead singer half sings and half vomits through it. I actually listened to that one the whole way through, and I was close to crying. That's how horrible this is. This entire album, in fact, is miserable generic tripe. Don't touch it with a 10-foot pole. In fact, don't touch it at all with anything. For once I can agree about something that other critics say about Madonna. It was a good idea of her to release this album full of dance remixes of her songs. It was a good idea not only for Madonna fans who liked to dance in the '80s, but it was a good idea for Madonna to make more $$$ (and with minimal effort, mind you), which was her #1 goal. This is her only album not to chart too well, which suggested that Madonna was a bit oversaturated at this point. Unfortunately, this album didn't turn out to be as enjoyable as it could have been. Simply put: she picked the wrong songs for it. The only track present on this album that I actually like is "Holiday." For some reason, she chose to litter the rest of it with some of her more less-inspired tracks such as "Physical Attraction," "Where's the Party" and "Into the Groove." For the Madonna fan who loves to dance, this thing definitely has value. All eight of these tracks are put to one extended dance groove that doesn't stop. Well, it does stop, very briefly, if you have this CD ripped to your iPod, but that was the idea. This way, you can just dance all the time and not have to stop in between tracks! As someone who doesn't like to dance, it's a shame this isn't fun to listen to. For the most part, these extended remixes are more uninspired than the original versions that are filled with annoying percussion ideas, vocal effects and some horrible session musician making embarrassing attempts at piano improvization. At least this is tolerable. Speaking as someone who usually can't stand her work, it's nice to finally hear something that I can sit through without wanting to die. Not that she didn't lay a couple of stink bombs in here, but I'm going to start this review off on an optimistic note. Largely, this album is the one where all the critics and fans clamor over in which she became a real *artist*. OK, I'll play along for a minute. This is her first album in which all (or even most) of the tracks aren't dance songs. You have a few ballads, a crappy psychedelic track and a couple art songs done with a splash of classical music. Of course, there's still a few dance songs --- the eternally popular "Express Yourself" and "Keep it Together." But is this really artistic? Um............. Well, she was *pretending* to be an artist, but she's not very convincing at it. You notice this especially in the ballads, "Promise to Try" proves just how weak her voice really is! I will however admit to enjoying "Spanish Eyes" though it doesn't contain much convincing emotion, but it's very strong melody puts it well over the edge for me. "Dear Jesse" was a nice enough attempt to emulate Kate Bush, but the sloppiness and aimlessness of it proves that Madge really didn't have a chance. One thing I said about Kiss that probably angers a lot of their fans is I think Music From "The Elder" is one of their best albums. As you know, Kiss is known for their trash-metal, and Music From "The Elder" is their foray into complicated art-rock. The only reason I think that's one of Kiss' best albums is because that group tends to sound best when they're not sounding like themselves. The funny thing about Madonna going Broadway with I'm Breathless is that you'd think it would fall under the same principle. I don't like Madonna's adult contemporary music almost by default --- and here she is singing Broadway tunes. I grew up listening to Broadway tunes thanks to the taste of my parents --- and, gosh, she's annoying. For example, I'd rather eat my own brains than listen to the phenomenally annoying "Cry Baby" again. Holy crap. But the album doesn't start out too horribly. Somehow, Madonna's usually able to find one decent song per album, and it's usually the first one. 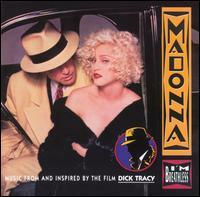 "He's a Man" is surprisingly good, and it combines jazz sensibilities with Madonna's pop image. Madonna's pseudo-jazz-siren vocals actually manage to sound constructive instead of annoying. The melody isn't the greatest on the planet and the whole effort is rather middle-of-the-road when you think about it. But I'm not going to think much about it, so I'm gonna say that it's pretty good for Madonna. Of course, "Vogue" is probably the only reason 70 percent of the people bought this album, and that's definitely a good one. That track singularly points to the direction Madonna would begin taking in her follow-up album, Erotica in 1992. But "Vogue" is actually better than anything on that album, so she would have been well-advised to just end that association with techno right here. Eh, Madonna never listens to me. I don't know why I say things. This album probably had potential --- as much potential as any album has, I suppose. Madonna's pretty intelligent, but her taste leaves something to be desired. And her work in I'm Breathless leaves me gasping for air. Thanks to the success Madonna had in 1990 with "Vogue," previously reviewed on I'm Breathless, Madonna decided to release an album full of similar material. Unfortunately, nothing on here even comes close to matching it. So, what is Erotica? It's just a different sounding Madonna with the same old problems. What makes it worse is that 1992 was the dawn of the CD age, which gave her the excuse to extend a usual 40-50 minute album to one that's 75 minutes. Only God knows how I find so much time to waste listening to, much less reviewing, this worthless album! The production proves that Madonna had an endless budget, and she spared no expense. However, money cannot buy artistic ingenuity, and that hasn't been more absent in Madonna discography than it has now. Furthermore, she proves that she doesn't have any sense, because most of these songs are boring, pointless and mind numbing. Only through the grace of God, I managed to sit through this album a half dozen times! All I can say is if you're planning on listening to this album, you're better off giving yourself a lobotomy. Though I especially dislike her dabbling with R&B, there is some faction of my imagination that can fathom something quite a deal worse. “I’d Rather Be Your Lover” has its decent attributes even though that R&B singer she brings in is worse than she is. “Human Nature” was a big hit despite the fact that it’s awful, and could very well have single-handedly inspired the creation of Britney Spears. Songs like “Inside of Me,” “Santuary” and “Bedtime Story” aren’t so much awful as they are tedious. Pointless things to sit through… since there’s nothing interesting in those songs, they give me the chance to fill my head with questions like: “What am I doing listening to so many Madonna albums, anyway?” And then I try to come up with a serious answer for why the chicken crossed the road. At this point, I’d be willing to donate my body to medical science if only Madonna would put out a good album. I’ll be dead before that happens. Madonna was cast in a huge movie production of Andrew Lloyd Webber’s pop musical! Bad idea to cast Madonna in anything, but this is easily the best movie performance of her career. (Actually not so impressive since we have Who’s That Girl and Shanghai Surprise to compare that to.) The movie was glittery and entertaining… more like an extended Madonna music video except it had catchy songs and a story. … Unfortunately, the experience watching the movie and listening to the soundtrack differs greatly. If you must own a copy of this musical, don’t buy the movie soundtrack, for the love of God. The 1979 Original Broadway version is more up your alley. A big thumbs down goes to the producer who had his head up his bottom and turned much of the source material into some sort of over-polished piece of garbage that’s only worthy of some cut-rate Madonna album. This is the flagrant overproduction that threatens to destroy music at its very core, altogether. For some reason, the worst crimes appear in all the tracks between the opener until that unforgivably butchered version of “Another Suitcase in Another Hall.” After that point, a more traditional Broadway soundtrack is utilized to its benefit! It’s possible they might have run out of budget or fired the original producer. For the most part, they’re worse than the original version, however. The problem with making movie musicals is the bigwig producers insist on casting big name celebrities in the lead whether or not they can actually sing. Non-singer Sophia Loren was cast and subsequently butchered the music of The Man of La Mancha. Elizabeth Taylor was cast A Little Night Music and apparently made it seem like a joke! 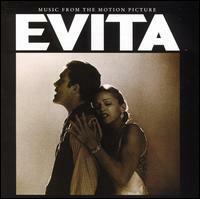 The Evita casting director thrust non-singers Antonio Banderas and Madonna into the lead roles. Banderas’ dry vocals are strained and weakened when more powerful vocals were needed! (After all, isn’t he supposed to be playing a communist revolutionary?) Madonna might have been, technically, a good choice to play Evita since they led very similar lives, but her vocal abilities are nowhere near as passionate as they needed to be. It would have been advisable to find real singers to dub the vocals! Oh, but Madonna would’ve shot someone for suggesting that. Probably literally. I want to reiterate that there’s no reason for you to buy this album unless you want to waste your money. Definitely get the 1979 Original Broadway Cast featuring the vastly superior singers Patti LuPone and Mandy Pantinkin in the lead roles. The only thing this movie version has over the original is Jonathan Pryce in the Juan Peron role. The 1979 Broadway singer was forgettable, but Pryce lends the role real passion and emotion. Just listen to “She’s a Diamond” and “I’d Be Surprisingly Good For You.” These are the only pieces that sound better here than the original. For reasons unknown to me, the critics really gobbled this album up when it was released. I even remember reading about it in 1998, which was about when I started paying close attention to popular culture. Madonna teamed up with electronica artist William Orbit presumably because she wanted to develop her atmospheres more intricately than she had in the past. And it worked! There was just one problem: THE MUSIC SUCKED!!! Orbit specializes in what sounds like beeping oscillator noises … like someone’s trying to tune a radio. Most of these songs seem jam packed with a number of odd sound effects with the intent of making them seem “spicy.” Nothing against sound-effects in general (after all I love Brian Eno albums --- he’s the sound effects king!) The thing is, you can write the world’s worst song and try lumping as many sound effects on it until you fulfill your heart’s desire, but what you’ll get in the end is a bad song with a lot of sound effects. 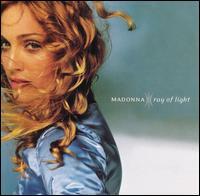 This, in a nutshell, describes Madonna’s Ray of Light. It’s a shame, because she sure seemed like she wanted to create an impressive work of art. A few of her developmental ideas were intricate. For example, she wouldn’t do a normal “techno” song, but a song that would sort of evolve into techno and then back out of it. Nice idea, but that still doesn’t change the fact that the core of the music is total rubbish. The most important thing in pop music, melodies, is especially in short supply. Madonna doesn’t even bother finding too many good rhythms or good, funky bass lines. There’s woefully little substance here! This is so incredibly boring to try sitting through. I’m glad I did so without causing myself immediate bodily harm anywhere except to my life span, which I’m pretty sure has been shortened by a few days. The best song of the album is probably the first one, “Drowned World / Substitute For Love” although that’s not without its fair share of problems. The melody is workable enough and Orbit’s sound effects provided it with atmosphere. However, a better songwriter wouldn’t have kept recycling the same melody throughout the piece; they would have changed it up a little bit! They would have introduced new themes! They would have experimented more with chord progressions!! They would have made a more interesting and fulfilling song!!! Let’s skip down to “Candy Perfume Girl,” which features a melody that was horrible from the get-go. She continues using the Orbit sound effects, but no matter what he does to it, it’s still rotten at its core. …How did so many mainstream music critics like this???? Madonna’s so rich, I bet she bribed them. That’s not to mention stuff like “Sky Fits Heaven,” which doesn’t even have much to offer in the sound effects department. The melody is so toneless that it’s a surprise Madonna wouldn’t have at least been even a little bit self-conscious about it. As bad as that was, she saves the real stink bomb for the end. “Mer Girl” is effectively a string of sound effects with Madonna singing over them in an effectively a cappella fashion. This is the most artistically ambitious track of the album and it proves, once and for all, that the sort of thing was way over Madonna’s head. She has no artistic sense, no musical taste and if she had known what was good for her, she would have quit recording music in 1989. Continuing down the same path that she was already exploring with Ray of Light, Madonna writes her regular (crap) songs but garnished with very unusual electronic sound effects and strange synthesizers. As I’ve always said, I like electronica in general, and I think that there are many examples of the genre are inspired and enjoyable. But you have to have good *music* before you try lumping on the electronic gizmos. Music consists of all musically stale ideas, so lumping their complex sound effects on it is just going to make a boring song with a lot of sound effects. Arrangements won’t make a melody catchier! To make matters even worse (as if that wasn’t bad enough) is that the arrangements are ANNOYING. This is not even some isolated event… the arrangements are annoying on EVERY SINGLE TRACK AND IT DRIVES ME CRAZY!!!! 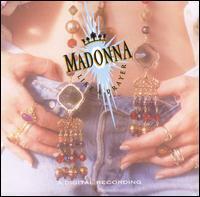 Madonna and everyone who worked on this album is obviously musically inept, because I have no explanation for this. Even if Madonna didn’t give a damn about the music and just wanted to pick up a paycheck … I frankly don’t know why they would have tried so hard to make something this offensive. (They are genius businessmen, though … they are the equivalent of a successful door-to-door dog poop salesman.) Somehow, Madonna got a hold of a voice synthesizer … she sings in it and it changes her tone to sound fakey… like a singing robot who slides its voice but can only sing 12 notes in an octave. I’m sure she thought she was being experimental with her robot voice, but everything about it sounded absolutely pukey. Embarrassing. Madonna should have learned her lesson when she released that godawful Ray of Light! ……… Oh, but the critics and mass populace clamored over Madonna for that. The Grammies gave her a few awards and I’m sure all her friends told her they liked it. This gave her positive feedback, so she went to the studio and created something that was even worse and had the gall to call it Music. I get the feeling that, all along, Madonna was some sort of elaborate social experiment. Every album is more offensive than the last one, and they’re trying to see just where the public’s breaking point is. The finding of the experiment was, ultimately, that the public has no breaking point and were willing to buy and love just about anything as long as the PR department was still functional. The PR department not only managed to dupe the public but also the critics! 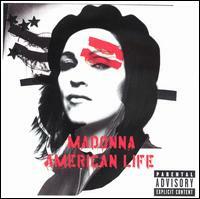 It’s an inarguable fact that nobody can possibly enjoy listening to American Life. Of course, people think they like American Life, but that’s because Madonna’s PR propaganda machine tells them to like it. People don’t like to think anymore… so much easier to buy into the myth. Continuing down that dismal electronica/club-beat thing he had been doing for more than a decade now, she manages to make something that sounds even more annoying than Music. More of those unforgivably bland melodic ideas, boring rhythms, vomitous vocal effects, embarrassingly tasteless instrumental ideas. Even though American Life is essentially the same thing as Music, Madonna is tending to favor a more minimalist approach with these arrangements. That might seem like a nice idea on paper, but it just proves that Madonna can’t even do silence properly. I suppose I should talk about some of the songs… Alright. “American Life” is an awful opener with Madonna pretending to be Black and such a grating synthesizer loop that threatens to knock my brain out of my cranium. “I’m So Stupid” isn’t quite as instrumentally inept (apart from a bit that sounds like a technology failure) but there’s absolutely nothing in the melody. One of the more well known songs here was a Bond song, “Die Another Day.” I even remember hearing it for the first time in theaters thinking that the series really went down the crap-chute (although the rest of the movie was a fine diversion). Really godawful stuff. I don’t even want to think about “Mother & Father” anymore, it was that bad… Like re-experiencing a traumatic childhood experience. … Gosh, she’s tasteless virtually everywhere. Who other than Madonna could produce a song like “Nobody Knows Me” with what sounds uncannily like dentist’s drill incessantly turning on and off? Either she was aspiring to torture us like the Laurence Olivier character from Marathon Man, or … I don’t know what she was trying to do. I really don’t know. Madonna’s brain is a big mystery to me. God, this album is horrible. Don’t even dare paying attention to the lyrics. Even if you venomously dislike her music, these lyrics will have you thinking like an assassin. Despite it all, the word got out that American Life might just have been a cut-rate Madonna album. You see, the album only sold five million copies! Of course, those are huuuge sales, but Madonna should’ve sold 10 million copies at least. Just like the last time such a “career crisis” happened, she decided to go in a bit of a different direction. This time, she wanted to revert to her origins: Dance-pop. What a novel idea, I say! The first Madonna album was certainly the best thing she had ever done, and a return to form is just what she needed. …Unfortunately for us, Madonna was unwilling to part with her “experimentalist” tendencies leftover from her previous three albums meaning that the arrangements mostly sound horrible to the ears. Not helping matters is the bland melodies and (for some reason) distractingly boring drum machine beats. The good news about Madonna leeching off of ABBA for her well-known hit “Hung Up,” the opening number, is that she finally found a catchy groove to work with. She doesn’t do anything particularly interesting with it… but it manages to tide us over. The follow-up isn’t nearly as good… the hopelessly bland club-dance ditty “Get Together.” I’m not going to complain too much about it… With American Life still fresh in my memory, I’m only glad I’m not getting offended. “Sorry” is a commendable enough of a song and, effectively, her best song since Bedtime Stories. The arrangements aren’t anything to write home about, but they’re generally well done, and it’s actually likable (imagine that). “Future Lovers” has bland Kraftwerk aspirations, but to its credit I should’ve hated it more than I did. “I Love New York” is a trite and worthless tribute to the city that’s horribly orchestrated… The simple drumbeat patterns I was complaining about earlier rears its ugliest head there. I will say that I enjoyed “Jump” just enough to give it a mild thumbs up. For some reason, I find the chorus catchy. (I’d probably hate it if it was on a David Bowie record… Actually I would hate it.) Kindly enough, Madonna saves the worst for last with three of the most offensive songs she ever did. The attempt to go world music in “Issac” falls flat on its face and some… but that song actually seems good when you compare it to “Push” whose offensiveness gives the worst of American Life a run for its money. And the album closer, “Like it or Not” is surprisingly not much better. Surely with an album that’s nearly an hour long, she could’ve lopped off the final three songs… you know, Madonna could’ve shown some “artistic discretion” or something… But nah, it’s Madonna so those horrible things have to stay. One of these days, Madonna is going to fully realize that she's getting old, wrinkly and nobody cares about her. When that time comes, Madonna will forget about trying to appear hip to today's youngsters and start thinking a little more deeply about the music. (That's a dream I have.) This hasn't happened yet, but I find it blazingly apparent that this transition is starting to take place. So many of these songs sound like she's trying to revisit her old '80s pop diva days... Though that's very subtle since, as many record reviewers were accurate to point out that she's overall copying the same style as current pop sensation Nelly Furtado. Furtado, if you're fortunate enough to not know her, specializes in this vomit-inducing electo-pop music masquerading as “world music.” But anytime she's not doing that too starkly, Madonna's really starting to sound good. Hard Candy was produced by 'Timbaland,' an outfit of hacks who only care about music because it makes money sometimes. (I have a specific grudge against them. I'll never forgive them for screwing up the latest Duran Duran album. NEVER.) With that in mind, I'm hesitant to say that there are one or two moments in here that are actually ........... er ............... are kinda cool. That's right. It was painful, but I said it. “Give it 2 Me” is good based on the production alone. It's even more shocking to discover that Madonna actually conjured a catchy melody for a change! (That was the impossible dream by itself!) That rubbery dance bass keeps a good groove going, and the main synthesizers do enough of a variety of things to keep the overall texture alive. The only part they messed up was an incredibly confused middle-eighth section... Well, I appreciate the mere fact there is a middle-eight section, but they obviously lacked any real skill to actually do it properly. “4 Minutes” was marketed as the big hit on the album, and it's also surprisingly good. A little odd to hear it develop since the groove sounds like an elephant... But it somehow manages to be fairly likable and even addictive. “Candy Shop” makes an OK opener. It's mostly a straight '00s pop song, but the synthesizers have a distinct '80s feel to it... though it's much more reminiscent of Prince than Madonna. After the first three songs, the album tapers off fast. Timbaland really did some of the worst production of all time (and that saying something) with “Incredible.” Not only do the drums sound like the worst the '00s decade ever had to offer, but the tempo is uncomfortably way too fast. “Spanish Lesson” and “Devil Wouldn't Recognize You” aren't quite as clumsy, but they're equally as boring... and worthless. They completely ruin the unexpected goodness that the three opening tracks had generated. The only two songs in the album's second half that make fine listens are “Dance 2Night” and “Voices.” The former is just a dance song... though it's incredibly robotic, and more effort probably should have been made to liven it up. “Voices” has a nice atmospheric, quasi-goth quality to it, although I do wish they spent more time developing that aspect of it .......... but I guess they wanted to maximize profits so they didn't care. What can be said is these two songs had enough potential but were plagued by general unwillingness to do anything about it. Ah well.